I am about to move to an area where I will have to use rural broadband (haven't yet decided which vendor yet) - which will require an aerial. Vodafone have told me their mobile phone booster won't work with their rural broadband as it needs a hardwired internet connection (which makes me think it's not so much of a booster than a router). The mobilesignalbooster site has legal problems (however, I am on the top of a hill in the middle of nowhere, so not sure what interference I would generate to other people). Can anyone suggest some options for "boosting" mobile reception? Just get a decent RBI install - it will have a roof mounted antenna far better than whatever is in your phone. Very unlikely you will need any sort of booster. Sounds like your mobile carrier of choice is vodafone. Pickup a suresignal off trademe, plug it in and you will be fine. Don't go down the booster route. I can help here. I've done many RBI installs, customer RBI installs and mobile coverage improvements. So please get in touch, let me know where you're heading and I can see what help I can provide you. Your getting contradictory advice so far. Plain amplifiers are illegal - doesnt matter how remote you are. The unit will introduce noise into your uplink data back to the tower and will slow down the total capability of the tower with wasted airtime, even when you are not knowingly using it. - No option available for spark as spark hate their rural customers even though a sure-signal device is available from sparks network suppliers. 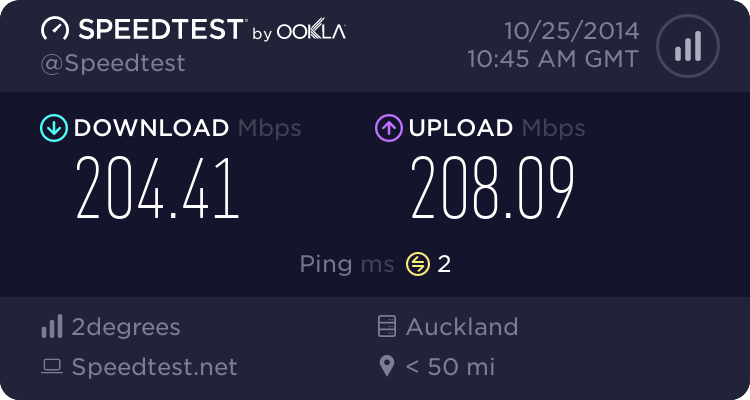 Second Best Option is your local fixed wireless ISP. Post your region and we can advise who your local one is. This uses an antenna on the roof. However sure signal isnt compatible for the cellular option - as the rbi modem will look to change to a tower with the best signal which could happen to be a sure signal inside the house, thus cutting off the connection. I have also heard of neighbors RBI modems locking on to sure signals. Edit: I think some RBI modems allow the isp to lock the modem to a specific frequency which would avoid the sure signal inside the house, but its still not technically approved and will probably result in degraded broadband speed. Could you drive that point in any harder Ray? Your forgetting cellfi which a completely valid option.. Given its priced rather steep. @hio does beg the question, when will Spark catch up on the surecell solution? hio77: Could you drive that point in any harder Ray? I have seen them installed in a number of rural households and they never seem to work. Normally because they require a cell signal to start with - more than 1 bar it seems. I fully agree regarding Cellifi. It is not a real solution. Really, Spark need a product to match either Vodafone or 2degrees here. WiFi calling would be great especially for my parents who are reliant off a single cell site and have no home phone (but have rock solid internet). It'll be nice if there was a solution for people like them which will work during a full provider outage in their area. For example - with the recent Wakefield fires (my parents are based a little out of Wakefield) if the fire was to wipe out the cell site which did come very close then my parents would have no mobile coverage at all on their farm. People like my Nana who has a regular landline wouldn't be able to contact them to check if they're OK. The Cellifi wouldn't resolve this however things like Suresignal and WiFi Calling would. This cell site has gone down in the past - so really, I beg Spark to actually come up with a viable, and cost effective solution for people living rurally. WiFi calling would be awesome here but I am not holding my breath. And yes, I do understand the ironic nature of things here - why don't I just set up a VoIP phone? The answer is they don't want this and have told me to remove it. I found they actually had their phone disconnected from the SPA because they were sick of people calling it. Mobiles have turned into the new home phone and people don't understand in rural locations there may only be one piece of infrastructure keeping them running in their area. Could you setup a call divert on their mobiles, to divert to the VOIP line if the mobile is unreachable. And then call bar the VOIP line, so only the diverted calls would come through. Or setup a number whitelist on it with only your number and a few close friends and family members. Dual SIM phone? I actually still have a Bluesky Samoa SIM in the second slot on my phone. And that SIM connects to all 3 NZ networks. So it is a good backup, although expensive to make outgoing calls from. And also expensive to receive calls on it as well. @Aredwood Yes that is all indeed possible but I wouldn't even do that, I'd just change them to 2degrees instead. They don't want a VoIP line (like I say, I had one, but they asked me to remove it) and I did think about just having a VoIP line there with a free 2talk 028 number also "just in case" but I know they'd never use it. Ignoring the fact there are solutions that I could put in place for my parents - I am more thinking about the wider community who don't have any knowledge to put a solution in place for themselves. This is where I think WiFi Calling is excellent for rural people especially as it just works (provided the mobile is supported). Technically this means also people could go to a place where there is no mobile coverage (eg - the Chatham Islands) and actually have a form of mobile service. This is where I think a service like this has its merits. Surely there's enough knowledge in our community to identify which rbi resellers would let you lock your modem to non-sure signal bands? And anyway, if your rbi is coming in via directional antenna on your roof, then the risk of it locking on to your sure signal would be low? nickb800: And anyway, if your rbi is coming in via directional antenna on your roof, then the risk of it locking on to your sure signal would be low? They arent very directional - typically still a 60 degree wide beamwidth to -6db but will connect to a base station further off target, sometimes in the completely opposite direction. A sure signal right below it would be picked up off the back. I have installed a quite a few Cel-Fis and when installed properly with an external antenna, they work very well. The poor performing ones are usually when they have just chucked in the "window unit" standalone somewhere.